At Queenswood we believe that a girl’s ability to present herself confidently is paramount. In the Drama and Dance department we aim to promote self-assurance, poise and the capacity to command and captivate an audience. 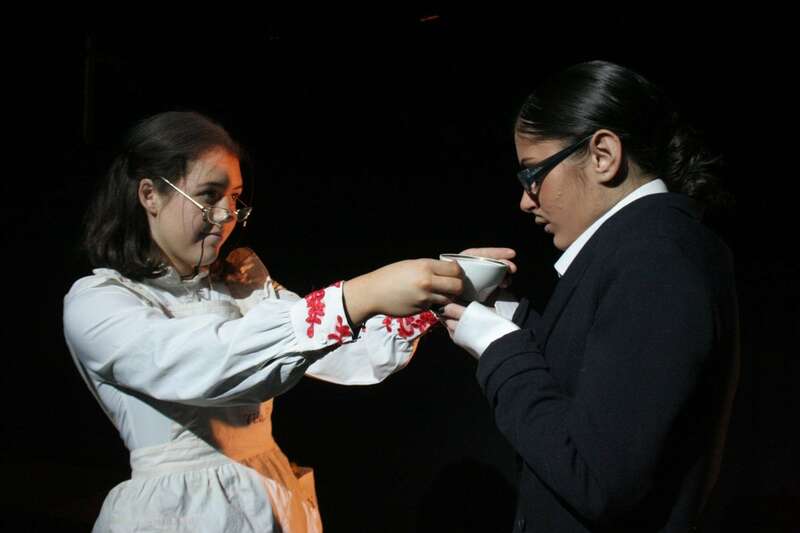 All girls in Years 7 to 9 study creative, often improvisatory, Drama as a timetabled subject; within the Drama curriculum there is also provision for Dance, which promotes fitness, well-being, confidence and self-esteem. In addition we offer popular courses in GCSE Drama, GCSE Dance, A-Level Drama and Theatre Studies and A-Level Dance. We have tremendous facilities. The department occupies the 280-seat, state-of-the-art Clarissa Farr Theatre and the intimate Helen McCrory studio, while our Dance students benefit from lessons in a mirrored, sprung, purpose-built Dance studio. We take pride in our work with GCSE and A-Level students, and open practical examination pieces to public audiences. We have a Theatre Manager and full-time Technician to assist with the increasingly technical demands of our Drama and Dance productions, and to mentor students who wish to specialise in set, lighting and costume design. The Department has won six Good Schools Guide Awards for its results in A-Level and LAMDA examinations. We invite theatre companies to work with our students and, with the West End on our doorstep, regularly take the girls to a range of high quality theatrical experiences. We run an annual trip to the Edinburgh Festival Fringe to experience an even wider range of cultural and theatrical influences.